THE CHURCH WAS GOD'S IDEA He had such passion and desire that "None be lost, but all be saved." He set the works in order to provide salvation, redemption for all. The Message is seen at the Cross. The Method was seen in the Commission. Men were sent into the world, empowered by the Holy Spirit to extend His call. 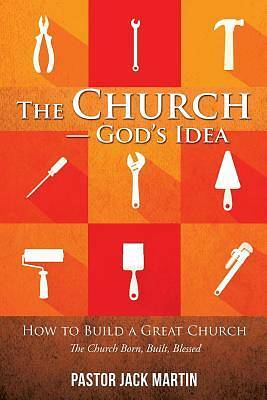 The Model for the family of God was the Church, Christ being the "Chief Cornerstone." The Method for accomplishment was the Scripture. That Commission and Calling have never been Canceled.The Church of today should reflect the Church of the New Testament. Since it is His Church established by His plan, this volume will reflect the Biblical meaning, message and methodology of that early church. It is a compilation of those standards as seen and witnessed in great churches through the years. The Church Was and Is God's Idea"